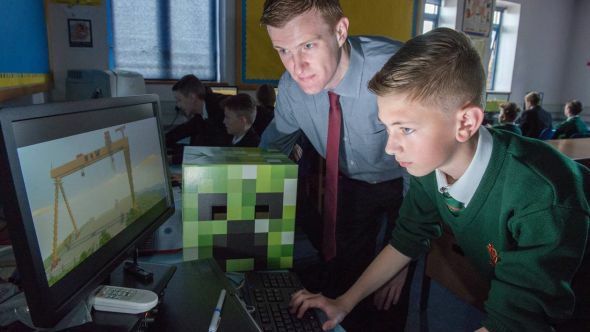 A government schools adviser and ‘behaviour tsar’ has criticised plans to teach schoolchildren using a new educational version of Minecraft, due to be unveiled by Microsoft later today. Get more from your digital blocks with the best Minecraft mods. Proponents of Minecraft: Education Edition suggest it can make learning fun and collaborative, teaching social skills at the same time as such subjects as engineering, history, and the visual arts. Sample lesson plans on the Minecraft Wiki also feature environmental topics, including preventing urban sprawl, deforestation, and sustainable living. There then follows a useful conversation – by Twitter standards, at least – about how quickly evidence can be gathered and how substantive it needs to be before we can at least experiment with new methods. Another Guardian journalist – this time their games editor Keith Stuart – cited “the experiences I’ve heard from dozens of schools” suggesting that Minecraft had value, while Games industry luminary Ian Livingstone dismissed Bennett as a “luddite” (with, as if to prove a point, a hashtag). I’m sure every reader of this site understands how compulsive games can be, and if we can make them educational at the same time then it seems to me this is a good thing. Is anecdotal evidence enough to justify this experiment? Or should we wait for something more substantive first?